Lucy Bregman received her B.A. from Brown University, and her M.A. and Ph.D. from the University of Chicago Divinity School. She has been at Temple University since 1974, and began to teach the course on "Death and Dying " since 1979. She has been involved in the subfield of religion and psychology, and of death studies, through her longtime participation in the American Academy of Religion's Psychology, Religion and Culture Group and the Death, Dying and Beyond Group. She has served as Chair and Co-Chair of both of these groups. 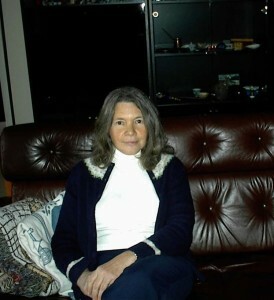 Her writings since 1992 have focused on death and religion study. See the above list of selected publications for some of these. She has been committed to integrating the contemporary death awareness movement and its agenda with the academic study of religion. Her extra-academic activities include devotional writing for the Liturgical Conference publications, and recreational kayaking. Beyond Silence and Denial: Death and Dying Reconsidered. Westminster John Knox, 1999. Religion, Death and Dying, editor. Praeger, 2010. Preaching Death: the Transformation of Protestant Funeral Sermons. Baylor University Press, 2011. The Ecology of Spirituality: Practice and Virtues in a Post-Religious Age. Baylor University Press, in press.